Could the workers have asked their unsuspecting customers if they wanted some drugs to go with their burgers and fries? 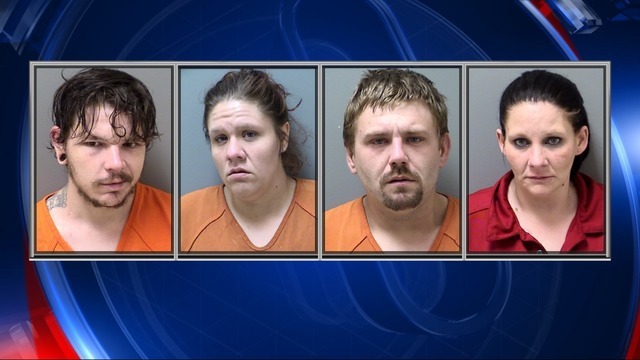 Four employees Wendy’s in Cherokee County, Georgia are now facing criminal charges after investigators say they were caught dealing methamphetamine in the fast food restaurant. Investigators carried out a lengthy investigation while not releasing complete details yet how the employees exactly dealt drugs while manning the restaurant. Members of the Cherokee Multi-Agency Narcotics Squad took the four employees into custody on Thursday afternoon. The agents would only say that the suspects dealt small quantities of the drug from the restaurant for weeks running. The suspects have been identified as 27-year-old Zachary Jerome Donley, 32-year-old Kristal Dawn Hogan, 26-year-old Jeffrey Levi Justus, and 36-year-old Amanda Jean McCartney. They served as restaurant manager, cook and 2 other employees. They have been fired by the restaurant because of the crime. The Wendy’s branch is located at 102 Riverstone Parkway, Canton. The restaurant even had to close for a few hours on Thursday to deal with the matter before reopening later that afternoon. The statement was signed by Glenn Varner, Vice-President of Operations of Hoover Foods. You have have pay a little more, to get a little better hamburger flipper in todays market. As far as these meth-heads. If they get out of Jail alive, they need to be banned from the Food and Personal Care industry for life.